Perth Go Surf and Purf Surfboards have teamed up!! 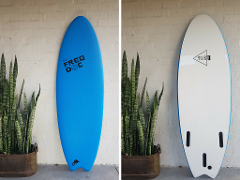 New surfboards for sale! Not sure what board is right for you. Come on down to Perth Go Surf and TRY BEFORE YOU BUY! Stand out from the crowd with this limited edition T-shirt.